Some photos from weekend 3 of the 2001/02 season. 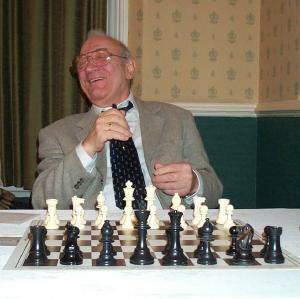 Viktor Korchnoi made his debut for Beeson Gregory I. 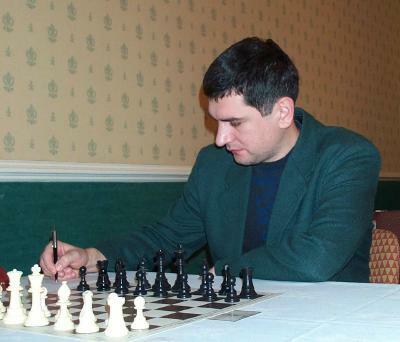 Wood Green I's Moldovan Grandmaster Viktor Bologan was up against Korchnoi. Nigel Short played board 2 for Wood Green against Luke McShane. 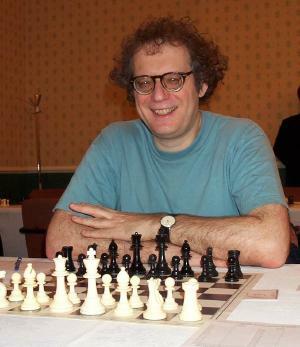 Board 3 Jon Speelman ready to play Julian Hodgson. Before the match starts. 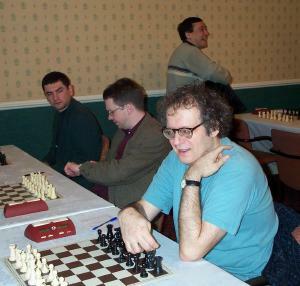 Bologan, Short and Speelman in the foreground, Mark Hebden standing in the background. 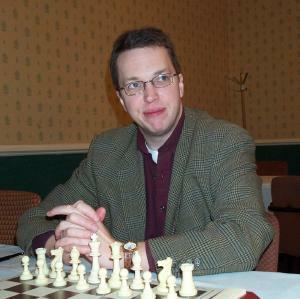 Julian Hodgson won the 2001 Terence Chapman Grand Prix and Harriet Hunt won the Prixette. Grand Prix sponsor Terence Chapman provides IT consultancy and software solution services to the financial sector.